So, it seems about a week has passed into this controversy that involves a photo shoot where Kathy Griffin poses with the severed head of what appears to be the likeness of Donald Trump, The photo is everywhere and I won't post it here because I believe amplifying the image yet again is unnecessary. I am not writing this post for that purpose. All in all, I respect art and this just isn't it. There is video that shows the making of this photo shoot and Kathy mentions that she isn't afraid to make waves. Well, mission accomplished it seems. However, now she has decided that the impact it has made has created a backlash that she is uncomfortable with and she feels like she is being singled out and bullied. Here's the problem with all of this. When a person plans to do something and speaks out about the consequences while they are in the process of creating it, there is obvious intent of malice. So, when the tables are turned on her, in justified fashion, it doesn't become bullying; it becomes consequences for actions you planned to perform. Consequences that can damage or end a career. When it comes right down to it, I think there are a lot of people these days that do just that in many degrees. We think today that we should be able to do whatever we want without being censored. It is thought that there shouldn't be bad consequences for actions we perform. There are quite a few examples of that in the media today. 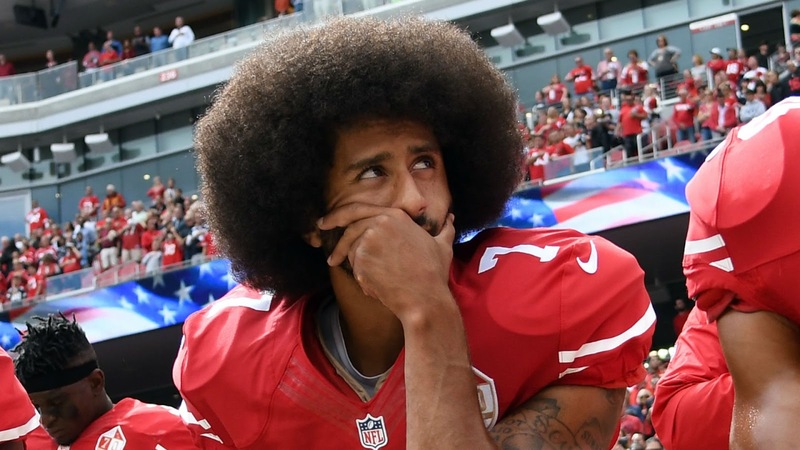 Colin Kaepernick made a decision to sit during the National Anthem in front of a public audience and push an agenda that many consider disruptive. Now, he can't find a job in the NFL. This is a direct consequence to a performed action. Personally, I feel like he decided that he found a good time to capitalize on a polarizing issue to gain attention. 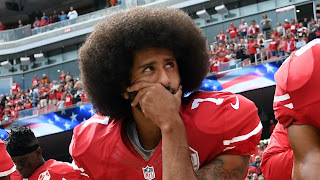 A quarterback that has proven not to be a winner and needed a last ditch attempt at something more, probably kicked himself in the foot from trying to do something besides what his job was. He knew he couldn't stay current on his talent alone. If anyone remembers the Michael Sam controversy we see a lot of the same thing. Instead of trying to make a career playing football, he attempted to outreach his ability by trying to make himself a hero to the gay community in the process. The point I am trying to make is that we are given our shot at life and we are responsible for the choices we make throughout this process. Real people everyday have to deal with the obstacles they create by choices they make. The way one reacts to those things is the key. It's not President Trump's fault for reacting and protecting his reputation and the position of the President. His family isn't bullying Kathy because she was just being edgy. It isn't the NFL's fault for choosing not to go with certain players because they didn't have the ability to do their job and created too big of a circus in the process. Plain and simple, when people make decisions to do something, there are going to be responses to those actions. You don't get to belittle people and then be given a safe space to hide from the fallout. Just like human beings that aren't always in the spotlight, you can lose a job because you step outside the lines of what society deems acceptable. Whether we like it or not - there are consequences. Life decisions are followed by responses which often affect life's direction. Personally, I don't feel sorry for people who make decisions to intentionally hurt people, and if Kathy Griffin loses her career, she did it to herself. You'll notice the cameraman involved seems to be silent at this point. That is probably a smart choice. Kathy, whether you are sorry now for what you did doesn't magically erase the fact that you, with forethought, did the shoot. Life happens when we make decisions, and how we live with the effects of those decisions will truly determine your character and integrity as time goes on. It's our choice to decide how we will impact the part of the world we are in. I just hope that for the sake of the world we start choosing to try and build others up instead of tear them down. Thanks for listening, and as always I look forward to your feedback.